Just as with YouTube video optimization, channel optimization is just as major and crucial in creating a successful YouTube channel. Both beginners and experienced YouTubers and vloggers know: optimization is the key for a channel’s success. To effectively optimize your channel (similarly to optimizing your videos), you’ll want to follow several important SEO (or Search Engine Optimization) techniques. Exactly like in video optimization, optimizing your YouTube channel is highly depends on words. Take the time to research keywords and don't be afraid to use competitive keywords! If you’ll use your words wisely, your channel will rank higher on YouTube's search results. Use keywords on your channel’s name, your video titles, in your channel and video descriptions and tags. Always use words that best describe your content and your featured videos - this is crucial for YouTube's algorithm in order to categorize your channel for relevant search results. You can easily add keywords in your advanced settings page if you need to. The “About” page is your general info page on your YouTube channel. The page is an important introduction to your content and provides a description of what your channel is all about: topics, interests, personal info etc. Through this page, you get the opportunity to tell your viewers and subscribers exactly what it is you do. Keep it short and well written, include keywords that are closely related to your channel's content. The first sentence from your channel’s description will appear on YouTube's search results list, so keep it concise, accurate, well written and engaging. Another thing you can do on the “About” page is to fill in all of your social media info – you can type in all your social media contact info so other YouTubers, vloggers, affiliates and general viewers can contact you anytime if they wish to. This can be a great opportunity for you to grow, reach out and collaborate with other creators. Don't miss out on it and be as available as you possibly can! The channel trailer is the first and most noticeable video on your channel and it gives an important preview to the rest of your content – just as movie trailers give viewers a preview of upcoming movies to be released. The trailer is the formal, visual introduction to you and your channel's content, besides the 'About' page, and it will only be visible to unsubscribed users, which makes it an amazing opportunity for you to gain more subscribers. You only have about 15 seconds to seize and engage viewers, so keep it exciting, simple and concise. You need to make your pitch so it becomes a great first impression if you want to “hook” your viewers. Your channel appearance plays a major role in your subscribers’ engagement, so think about branding your channel in a unique and consistent way. Create a profile picture that represents you and your brand and a customized banner, and make sure you style your video thumbnails to match it all to give your channel a cohesive, professional and polished look. This is a great and relatively easy way to optimize your YouTube channel. As you probably know by now, one of YouTube’s ranking factors is watch time depended - the longer the watch time, the more YouTube finds your channel and videos to be engaging and interesting or helpful to viewers. By creating playlists, you do not only engage viewers with your videos but keep them longer on your channel, which eventually increases your YouTube search results list ranking. 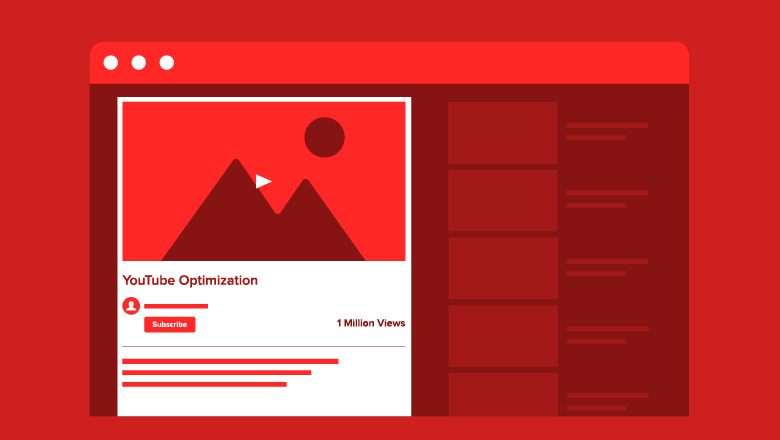 In playlists, viewers are automatically directed to the next video of the same topic, this creates flow and interest, as well as organizes different content on your channel. This is a very effective tool with which you can engage your viewers for longer periods of time. We can’t stress this enough: your channel’s optimization is just as important as your video optimization! This is not only yet another way in which you can get more subscribers, but it's also a key element in creating a well-known, popular YouTube channel and becoming a successful creator on YouTube. These are just some of the things you can easily do to become a real YouTube pro!